Wire Loom is a kind of tool to protect wire and cables, and widely used in the most industries in our daily life. The tool outside is plastic corrugated conduit, and we always use them to cover the cables. Corrugated conduit is flexible with a ridged outer surface, it is easy to be bending based on it’s structure. It can be taken as flexible conduit pipe also, when additional protection is required. In the past, we always insert the cables from one side and take through the other side. It takes workers too much time, and not effective. Now we find split loom tubing, and outside corrugated conduit is split. 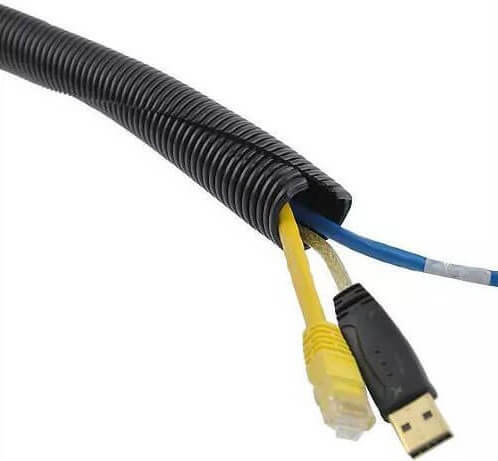 We can easily insert the cables in any shapes. It is more convenient than our past work. Removal of cables and wires from wire loom is also very easy that’s why it is preferred in situations where frequent changes in wiring are anticipated. Though split types are commonly used but there are non split wire looms also available which can be used just as a conduit pipe for safety of cables. Wire looms have unlimited applications everywhere whether at home protecting cables from kids and pets and up to that complicated wiring in automotive machines like bike and cars. Available in different colors and different material used for fabrication they are able to be used in almost every environment. At our home, as an example of the most common application, we can cover the wire coming out from any low height power socket where the cable has to run through ground creating a chance of being damaged by pets around. Wire loom are widely used in variety of applications as cable organizer. There are different types of wire looms available which suits to specific requirements. Colored wire looms can be used for adding beauty to existing open wires and at large scale it can be used for color coding. Nylon wire looms, especially manufactured to withstand temperature are used in automotive applications. Polypropylene wire looms are general in motor industrial etc. 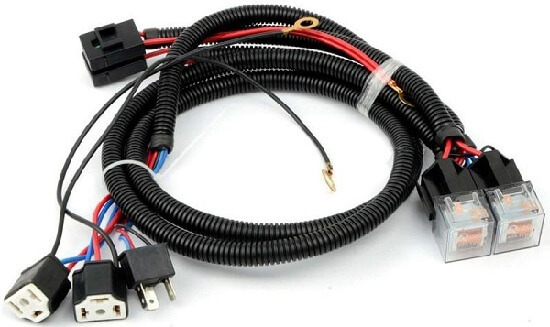 In a word, wire loom is good cable organizer, is made from a series of flexible cable conduit. Most of it properties are based on the conduit structure and materials.